Needl outlines our vision for the future of retail at COS Stores. It integrates in-store product trials with online shopping through the use of a smart device and an accompanying app. With the Needl device shoppers can take digital receipts of the items they try on and easily keep inventory of the items to shop them at their convenience. How might we bring together the best elements of retail and online stores for an integrated shopping experience? 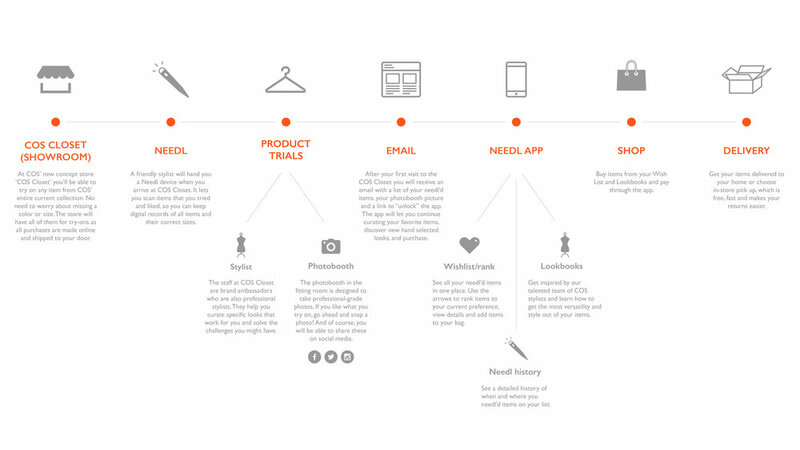 With Neddl—an electronic device used in-store to tag items—customers can now keep digital receipts of their journey in the showroom or ‘COS Closet.’ This is what the user journey looks like. 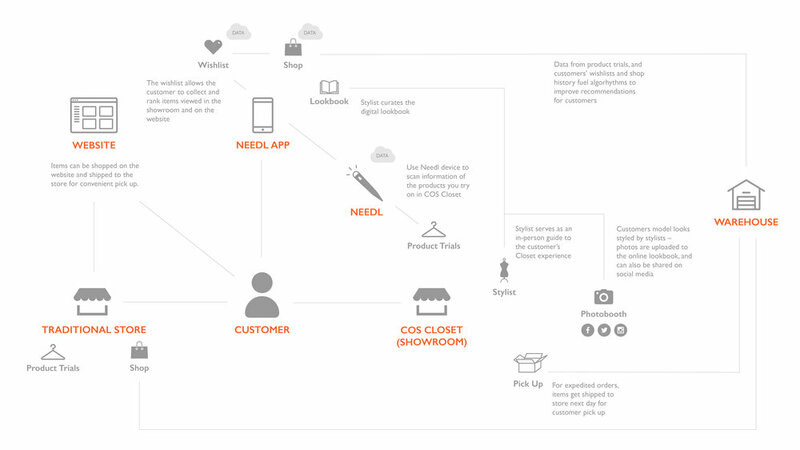 Through this system’s map we explain how the ‘Needl App’ along with ‘COS Closet’ integrate the different customer touch points in the new reimagined ecosystem. Formulating a variety of user profiles to uncover their needs. 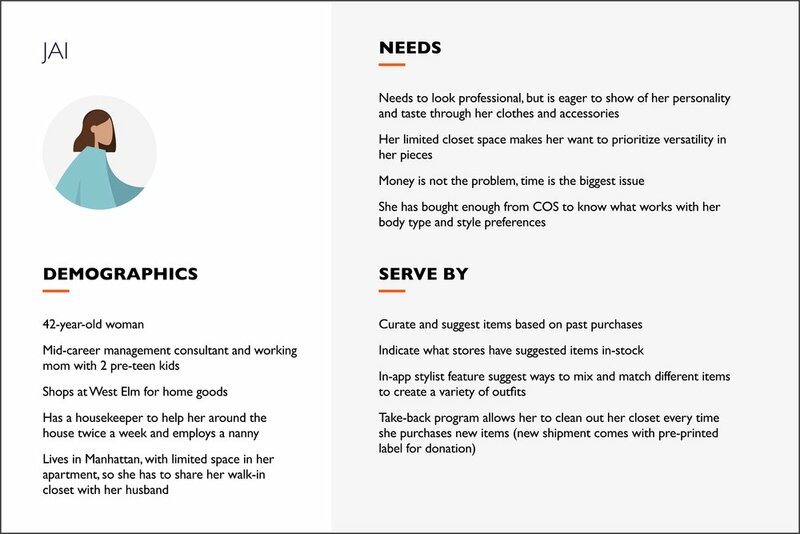 Manako and Alexia developed three proto-personas to determine how Needl could better serve a variety of COS customers.